An elegant Classic 7 in the perfect location . Showing starting on October 18. This is a 4 bedroom apartment, in meticulously maintained conditions. This outstanding West-facing apartment offers approximately 2,000 square feet of space and beautiful tree-lined views. The large, gracious and welcoming foyer with lots of closets steps forward into a grand side-by-side living/dining and entertaining space. There are 3 king-sized bedrooms with lots of closets and a windowed hall bathroom. The large master bedroom has enormous closets and a spacious windowed en suite bathroom. There is a large eat-in kitchen with abundant storage and ample maid’s room, which could easily become a 4th bedroom with washer/dryer and the 3rd bathroom. The kitchen includes new countertop, new backsplash, and stainless steel appliances. The apartment features a set of characters and original prewar details, such as beamed ceilings, wood floors, lots of closet space, and large windows. This mid-rise building has 12 floors and 36 apartments, allowing for a very limited number of large apartments on each floor. 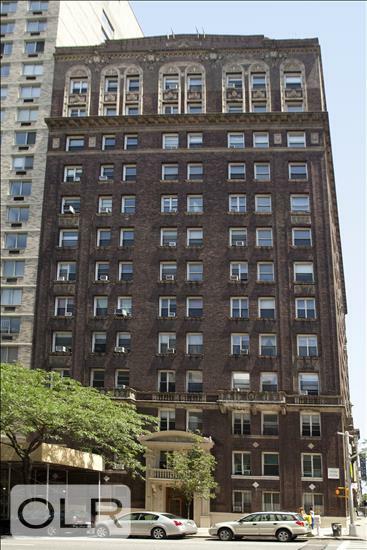 It has a live-in super and the 24-hour elevator operator adds old-world charm! Located in the most convenient neighborhood on the Upper West Side, this beautiful and spacious home is around the corner from Zabar’s, Riverside Park, delicious dining and more. The 79th Street transportation hub will get you anywhere in the city in minutes. If you are looking for a home that offers ample living space, character and superb location, a prewar apartment like this rarely becomes available. Showing starting October 18.